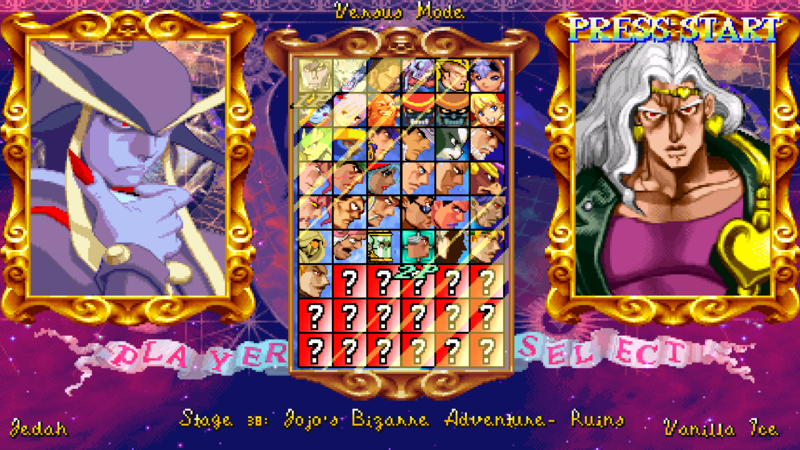 The logo is based on the original title for Vampire Savior. This is an authentic logo found in the arcade rom. The title screen has floating rocks and moving clouds + earth. 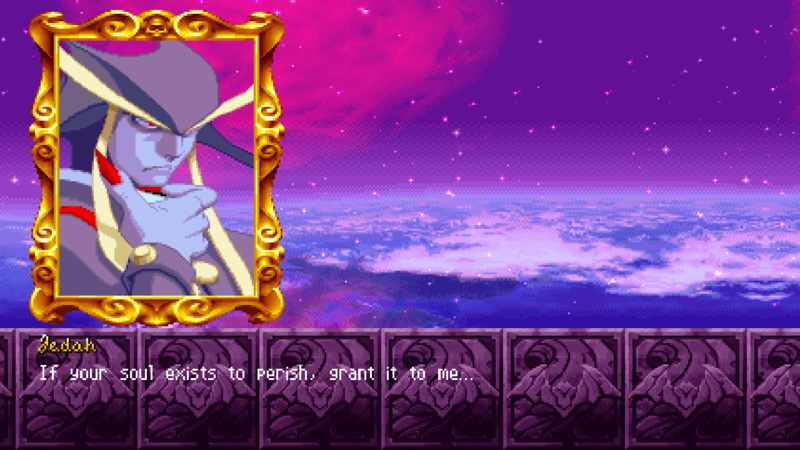 The borders for the characters are taken from the first Darkstalkers. As is some of the text. 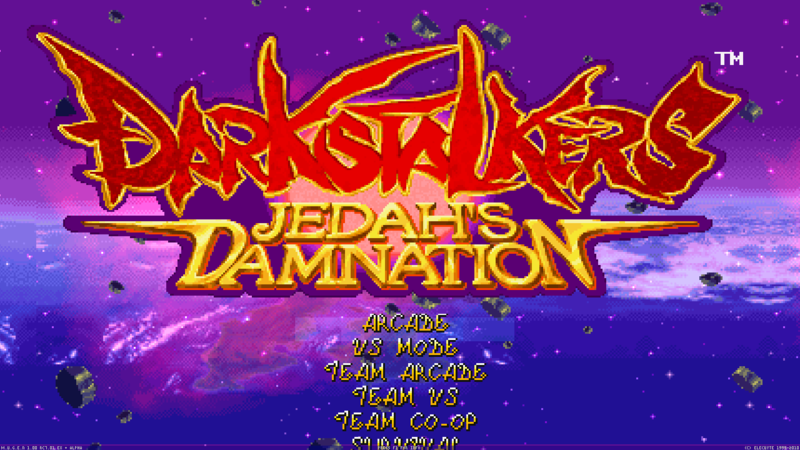 Same scrolling background as the title screen, with the Vampire Savior background added. Same deal as before, except with Jedah slowly floating upwards. 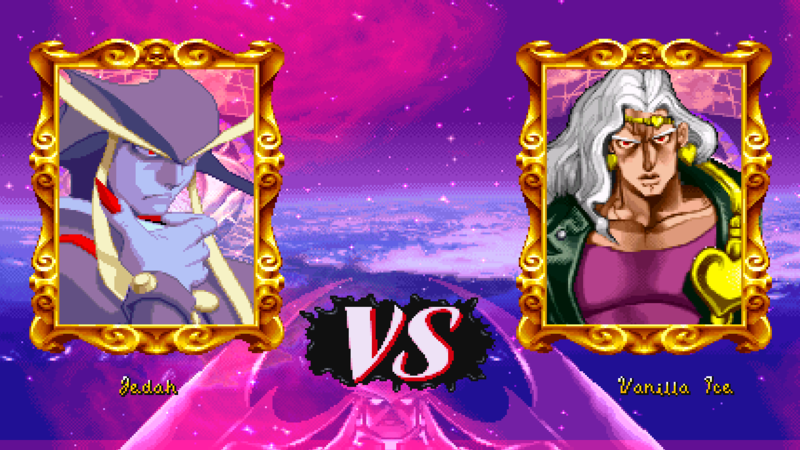 Also, the red bar animation from Vampire Savior. Nothing special here. 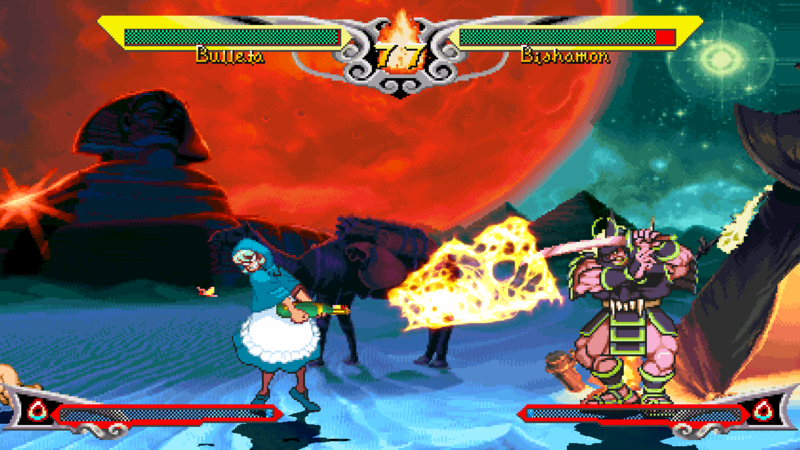 Just added Morrigan's Pocket Fighter tile. I simply modified them slightly to be centered for this widescreen ratio.